I bought a copy of Peppermint Magazine the other day - great read with a large focus on eco friendly issues and sustainable production. Blue Caravan (which is an online market place) had a front cover ad and I went to check out their goodies. Beautiful items from accessories to home-ware and back. I loved CHERISH one of the accessory stalls. 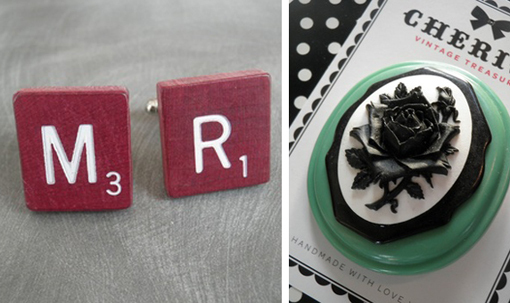 They use handmade pieces and combine them with vintage belt buckles and found haberdashery. I would so love the black and green, rose cameo brooch.